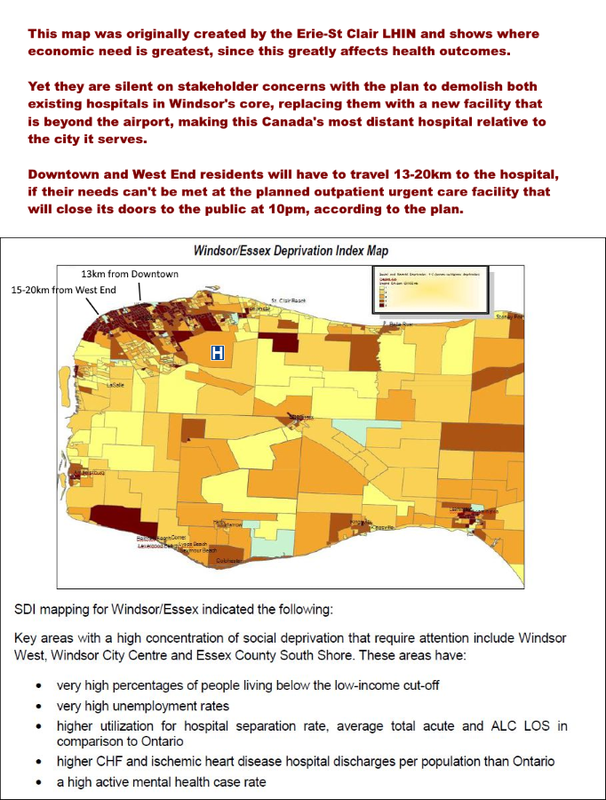 The Windsor Hospitals System Plan replaces all hospital services in the city core with urgent care and non-acute outpatient services. ​It is true that health care service delivery has experienced a major shift from inpatient to outpatient care. 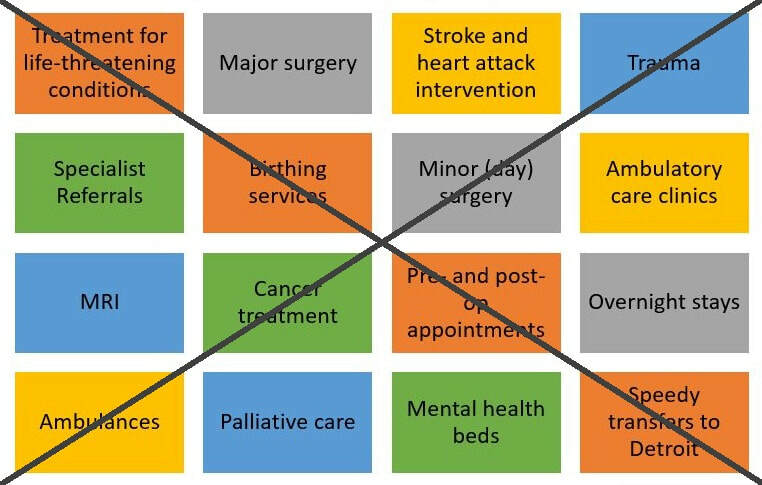 In the past two decades, hospital stays have fallen dramatically for many operative procedures. 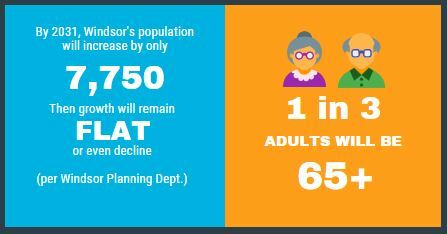 However, Windsor’s rapidly aging 21st century population has more complex medical conditions than ever before, leading to the need for a more extensive array of services than those planned to replace hospital services in Windsor’s city core. Urgent Care is not intended for life-threatening or complex conditions. It will not be available 24/7. The city’s lowest-income wards are home to the greatest number of people who do not drive. 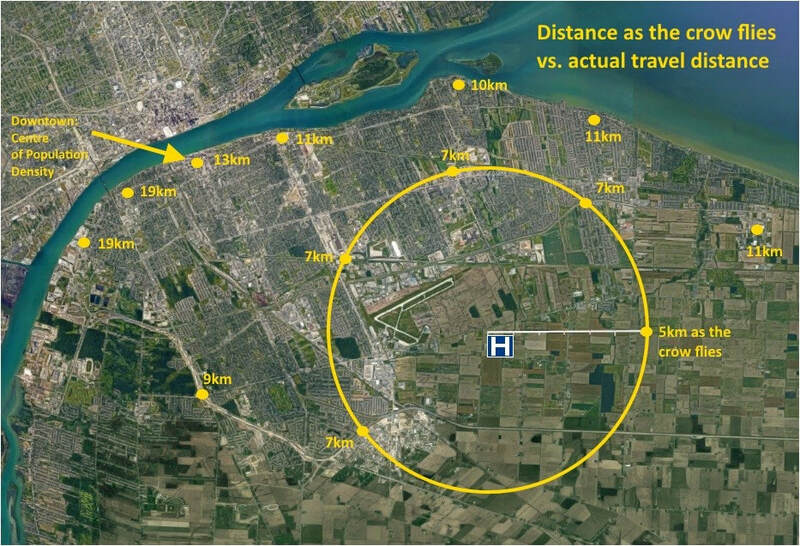 For tens of thousands of urban residents dependent on active transportation to get around, the planned hospital site will be considerably less accessible. 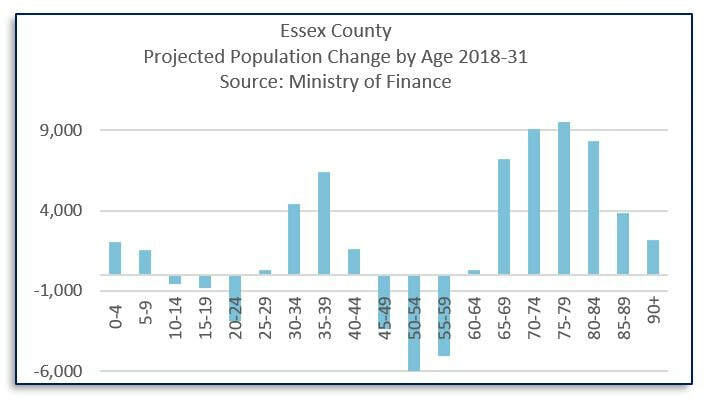 The Ministry of Finance expects the regional supply of working age residents to decline over the next 13 years through 2031. Without growth among 20-64 year olds, there is no reason to expect significant employment expansion. The employment land needs calculation is based on a 2008 study by EDP Consultants. They drew on 1996 and 2001 Census data and a 2008 Lapointe Consultants report. 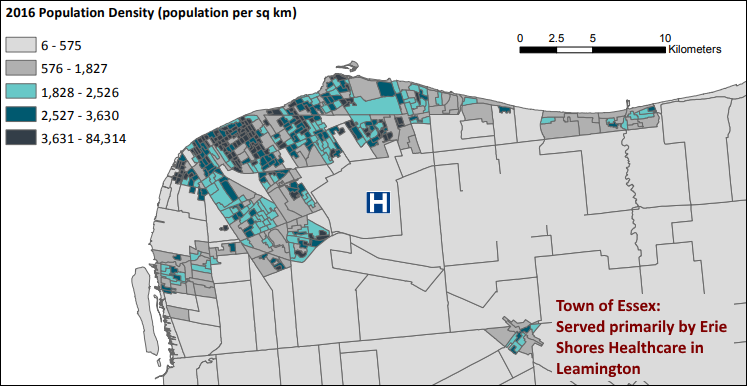 ​The new hospital location is likely to result in greater capital and operational costs for services like road maintenance, EMS and public transportation. 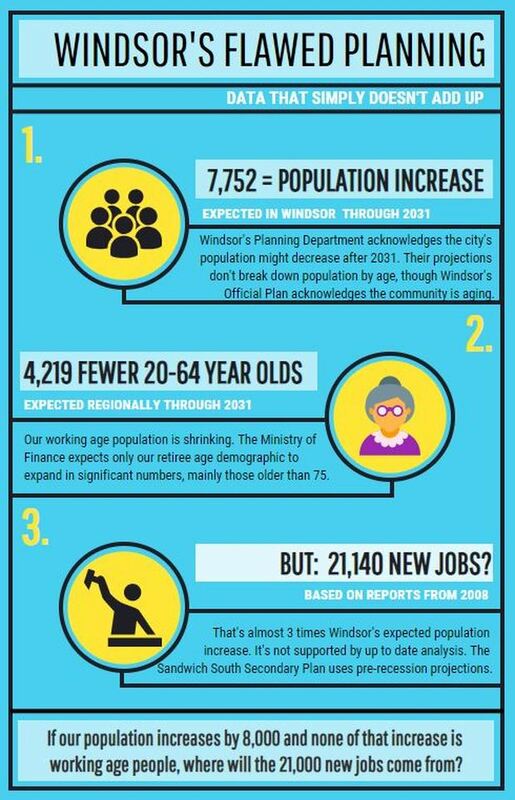 Windsor’s infrastructure will be even more challenging to maintain than currently in view of stalled (or anticipated negative) population growth, as well as a rapidly aging and declining working age population. Significant taxpayer-funded costs were concealed from public scrutiny by altering the Consulting Engineer’s calculations after he submitted his figures, and by excluding known costs from the site evaluation. ​Mr. Spencer, who is not in agreement with the substance of these alterations, wrote a letter that can be read in full at this link. DCs allocate the true cost of infrastructure investments where they are incurred. They were excluded from the ranking of the shortlisted sites. In this way the greenfield site was artificially made to appear more cost-effective than a fully serviced infill site. Had DCs been considered, the GEM site would have remained in first place. DCs would have reversed the $1.8M land cost differential that put the County Road 42 site in the winning position in Phase 2. Mental health ER usage and admissions after 10 p.m.
A complex web of Board and professional relationships influenced the letters used to demonstrate community support for this project. 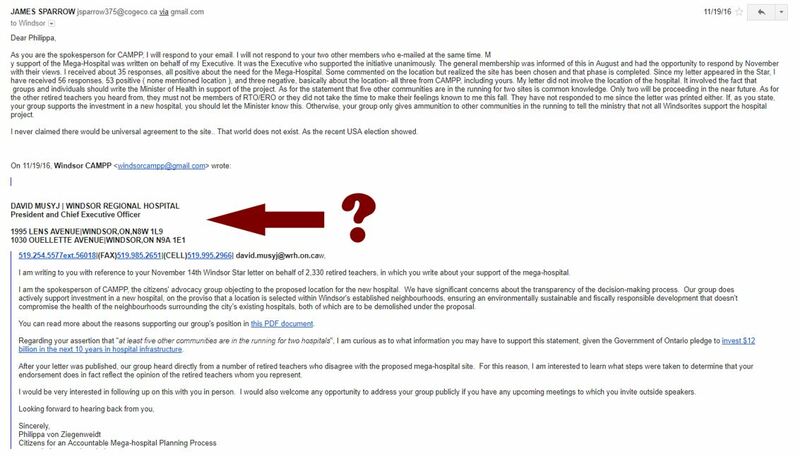 Many referred to the hospital without referencing its controversial location. Why was WRH CEO David Musyj coaching the Retired Teachers of Ontario? 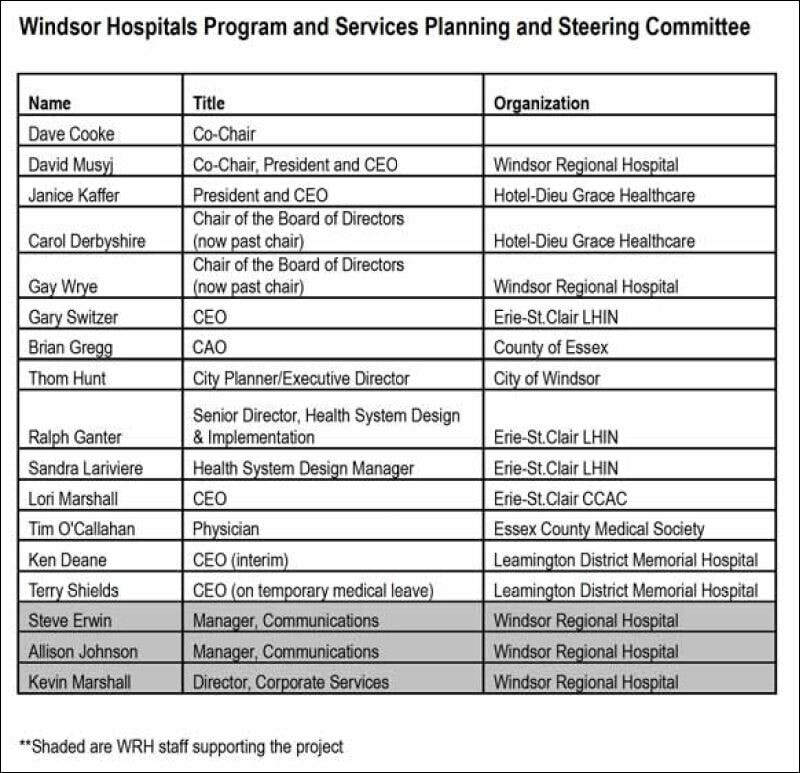 However, plan includes a land swap between WRH and City of Windsor that has never been discussed at City Council, raising questions about valuation, due diligence and lines of responsibility for decision making. 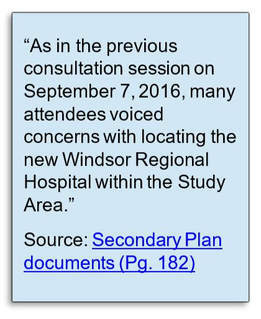 ​​​The hospital project reached planning Stage 2 under former Minister of Health, Dr. Eric Hoskins. Ontario’s new Minister of Health, Christine Elliott, has not made any further announcements. Furthermore, none of the of 11 committee members has a planning background. For four years Mayor Dilkens declined to meet with members of CAMPP about the community’s concerns, claiming he had no influence, even though the deal included a major municipal land swap. The meeting to proceed with the tax levy to pay the 10% local share of the hospital cost was squeezed at short notice into the agenda for the December 21, 2015 Council meeting. This was also the annual Budget meeting, already the longest meeting of the year. The Mayor stressed that the location of the hospital was not to be discussed. Emails invitations to a stakeholder meeting were sent to Caldwell and Walpole Island First Nations. Secondary Plan appendices indicate no response was received. At the April 25, 2016 Windsor City Council meeting, a First Nations resident spoke about the requirement for meaningful consultation under UNDRIP obligations. However, no further efforts were made to engage First Nations. Many refuse to believe the project involves the loss of both existing hospitals. 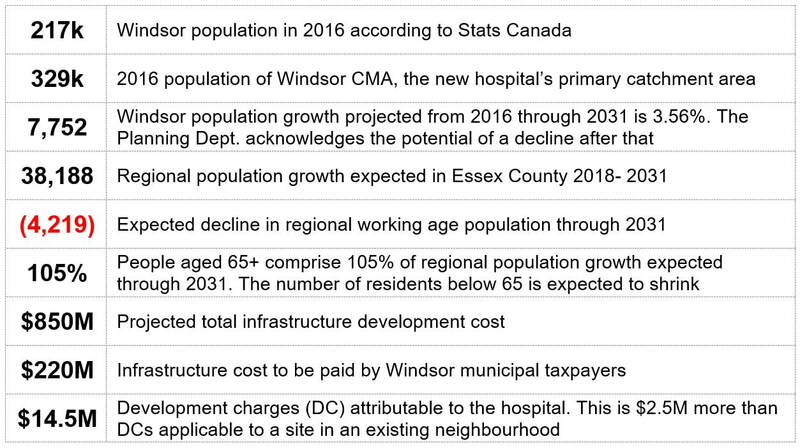 Another prevalent misconception is that the new hospital will provide additional programs and services so residents will no longer have to travel to London or Toronto for specialized treatment. 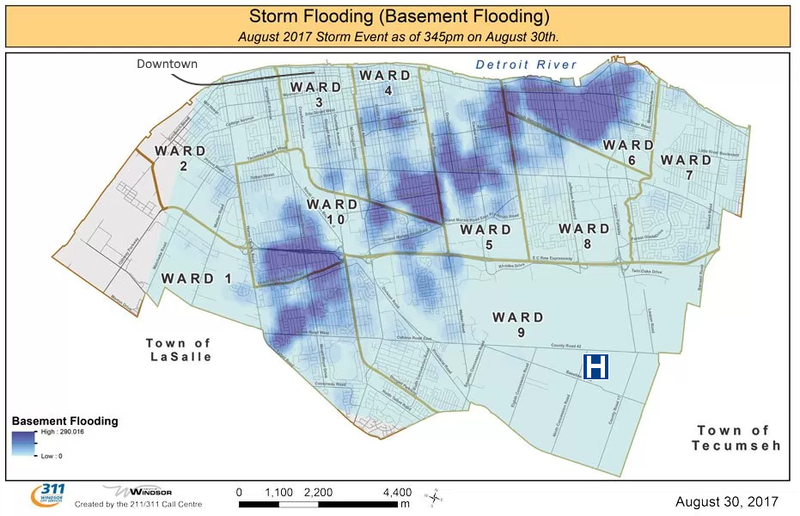 Several Windsor councillors even indicated they believed this to be true at the August 13, 2018 zoning meeting. Without significant population growth and operating resources, this is an unrealistic dream. 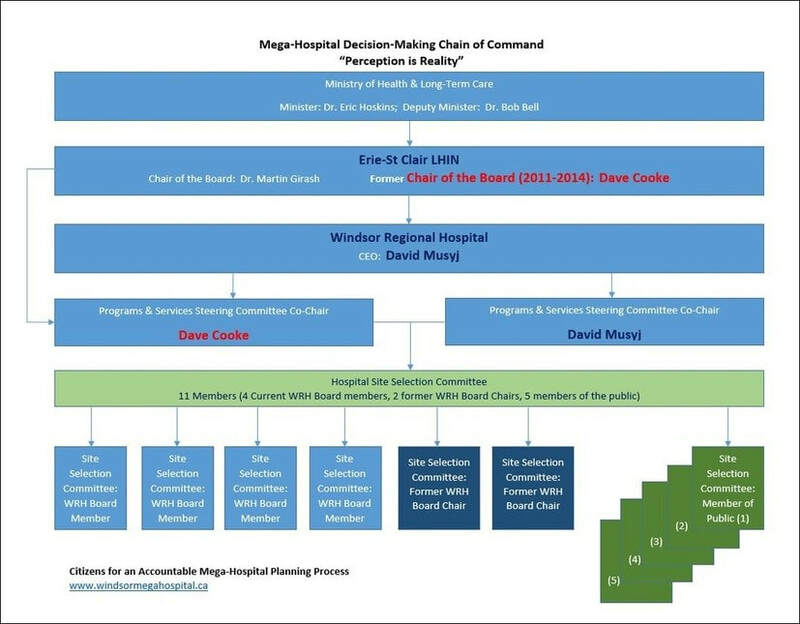 The community has consistently expressed significant concerns regarding the hospital location at meetings, in person, in letters, on social media, through billboards and with thousands of highly visible lawn signs. Meanwhile, the Steering Committee Co-Chairs consistently marginalized all expressions of concern, referring to those in opposition to the plan as a small group putting the success of the project at risk. May 7, 2014 Public invited to apply for 4 of 10 positions on Site Selection Committee. Deadline May 16th.